In today’s fast-paced technology advancements, which offer integrated marketing efforts, cross-branding and cross-platform initiatives, it is easy to lose sight of the basis of one’s marketing aspirations – which is essentially to engage and connect with customers by providing a relevant, useful and exceptional customer experience. Bountiful resources available through brands, agencies and media owners have created unlimited opportunities for marketers to innovate and create their own unique identity in developing their marketing strategies. The customers are the only constant in our communications efforts. It is crucial that we maximise every opportunity we have in reaching out to them. As important as digital touch-points may be, one should not discount the fact the customer experience transcends all platforms. A technology-driven business often thrives on innovation and digital capabilities and this is reflected in the convenience that is provided to customers. For Domino’s this is done on our digital platforms. For any data-rich organisation, a data-driven customer experience is part and parcel of the strategic business and marketing approach. It provides the organisation with a competitive advantage as the company has insights on customer preferences and behaviour which leads to predictive marketing. With such capabilities, brands are able to heighten customers’ experiences accurately and effectively. At Domino’s, this contributes to our foundation in how we present a memorable journey for our customers. Equally important to the digital aspects is the human touch in our delivery – in-store as well as our call centre services. The recipe of a great customer experience is not traditional, nor digital, it is a combination of both as it goes hand in hand and complements each other.It is about maintaining a fine balance between the two elements, and with effective execution, it will lead to effective results for the brand and the business. Embracing the two platforms is a mammoth task and it goes beyond just the marketing efforts. It requires buy-in and support from various departments of the business to work together in a cohesive manner in creating a solid customer journey. It goes beyond talking to customers and catering to their queries. It is about going the extra mile, identifying what works for them and developing new means to make the customer experience a pleasant one. This simply means every employee in a company must be onboard and adopt the same mindset when engaging with a customer. In addition to the employees’ involvement, brand love and engagement play an important role in enhancing the customer experience. This goes back to the intention of a marketing effort, which is to connect with the customers. The challenge here is to set a brand apart from others, not only in terms of its product offers, but what it stands for. There could be a need for a more relevant positioning that embraces the customer experience as the end goal, so the efforts and communities that it is involved in and the partners that it collaborates with, demonstrate the brand’s persona and personality, and hence, plays a role in creating the consumers’ relatability and love for the brand. With initiatives that are close to consumers’ hearts, it creates an opportunity for the brand to be engaging on an effective level. Ultimately, there are unlimited possibilities for brands to convey their message and aspirations. Savvy consumers demand a greater integrated effort as they choose their products and services. Expectations are high and competition is tight. It is up to brand marketers to ensure they stay ahead of the customers’ expectations and demands by creatively addressing them against this evolving landscape. 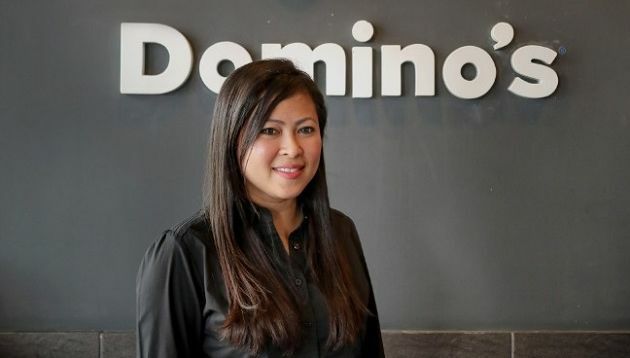 The writer is Linda Hassan, senior vice-president, marketing, Domino’s Pizza Malaysia and Singapore. The article first appeared in A+M’s The Futurist print edition.